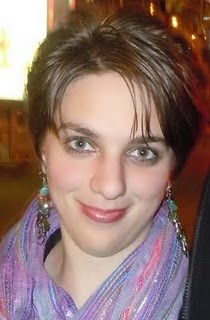 Liz Borino Joins The Guest House! The characters are relatable. When reviewers received What Money Can’t Buy, the sequel to Expectations, several said it was akin to visiting old friends. As a matter of fact, Katie from “BookingIt.net” said, “For those that loved Expectations, What Money Can’t Buy is a must buy! All the characters we met and learned to love in Expectations return and remind us why we loved them in the first place. Their lives twist and turn, with many bumps along the road, but the reader is pulling for them from the first page until the very end.” Wouldn’t you like friends like that? They’re not typical romances. First of all, Expectations and What Money Can’t Buy focus on two couples, one a male/female and the other, male/male. Speaking of those couples, they’re not typical either. Chris and Aiden are appreciated by fans and critics alike as sweet and loving. In Expectations, Carley helps to pull Matt out of the alcoholism he struggles with. Of course, in What Money Can’t Buy, Matt and Carley’s relationship changes a bit, but pregnancy will do that to you. In another way? Totally are romances. Both Expectations and What Money Can’t Buy have realistic, emotionally charged love scenes (analysis from a sexologist). It’s not erotica, but the characters, like people, are revealed by intimate situations. Aiden slipped his arm around his husband’s waist with a smile, “It might be too big if it was just four of us. Your dad has the guest house for him and his nurse and the kids have rooms close to ours, plus a few extra bedrooms.” His Irish accent was thick, as usual when he relaxed. “My dad living here is just temporary.” Chris reassured, though he wasn’t sure who he was reassuring, Aiden or himself. He wasn’t entirely happy with his father living with them, but after the stroke it was either that or a nursing home. While a nursing home was still on the table, Chris didn’t have the time to research it before they moved. Besides, it just didn’t feel right to put family away, no matter how badly they hurt you. “I think so. What fun would having only two be?” Aiden smiled and let Chris go when the movers came back inside. He couldn’t wait to get all the crap put away and be alone with Chris. They hadn’t been alone in at least a week now, between the movers, Aiden’s classes, and doctor appointments with Meggie. Meghan, his sister, was six months pregnant with Chris’s twins. They found out last week she’d have a boy and a girl. Aiden couldn’t imagine a better outcome. He worked with the movers to set up the living room while Chris was with others in what would become his father’s room. Aiden nodded as the workmen put the entertainment center together and then placed the plasma television on top. When they moved out of their loft in Greenwich Village, Chris and Matt, Chris’s identical twin, debated on who should get the TV. Aiden and Carley, Matt’s girlfriend, sat on the couch and watched the heated debate. Chris and Aiden ended up with it because Carley had her own, which was almost as big. Matt got the leather couch and recliner. Plasma TV, so unnecessary. Aiden scoffed to himself more than once. He didn’t grow up like this. He and Meghan grew up on a farm in Ireland. The house had three rooms, a kitchen, living room, and a downstairs bedroom where his parents slept. He and Meghan shared a loft area that you could only reach through a ladder. It was a far cry from the six bedroom home, with a pool and a guest cottage, he shared with his husband now. “Are you picking up your dad?”Aiden asked leaning into Chris’s chest. “I did that once because it was on sale.” Aiden said and realized that was something they wouldn’t be worrying about anymore. Judging by Chris’s expression, he thought the same thing. To say they were well off was an understatement. The twins each received $50 million from their trust funds and any remaining wealth their father had, which was a lot. “SPAM is always on sale. There’s no other way to get it out of the store.” Chris smiled and paid the movers when they finished. He and Aiden still had some hours, or days, of work ahead of them. “Six. Why?” Chris answered, appreciating Aiden’s smile. “Well, I’d say between going to the store and cooking dinner, you’re looking at maybe an hour and a half. I think we have some room for fun in there.” Aiden watched recognition light up on his husband’s face. They sped upstairs without another word. “The baby, Matt. I…don’t know. I’m bleeding pretty bad…and…” anything else was chocked out by tears. 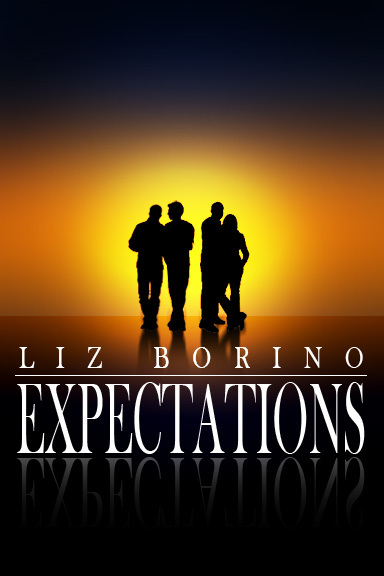 Expectations blurb: Expectations depicts the struggle between what we desire for ourselves and our familiar obligations. This is personified by Chris and Matt Taylor, identical twins who are trying to win their overbearing father’s approval and acquire their trust funds. Their best friend and roommate, Aiden O’Boyle, left his family behind in Ireland to pursue a career in dance. QUESTION: In your opinion, what can money NOT buy? Previous Post DISCIPLE T-shirt Contest VOTING BEGINS! Next Post Votes are in and the winners are announced! You didn’t ramble! I appreciate the response. So many people are happier at home than chasing the elusive ‘gold mine’ of corporate success. Thanks for reading! omg…can’t believe I didn’t proof first…that should be – Just my opinion and you know how opinions go…sorry. True love is the only thing money can’t buy. That’s why people who end up marrying for money are usually so miserable. Thanks so much for your response! I really appreciate you taking the time to read and respond. I’ve read this book and it’s really quite good. Both this sequel, and the first installment, are well written and fast reads. 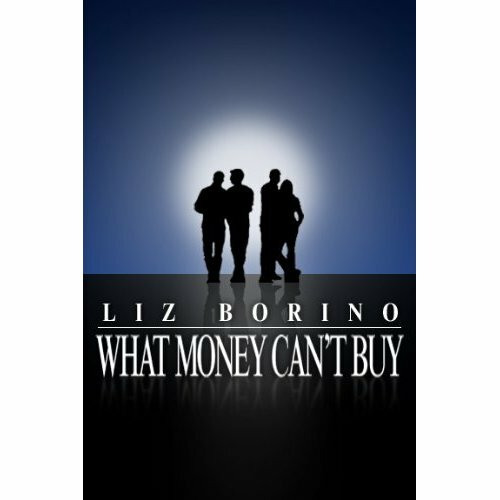 I hope to see more from Ms. Borino. That said, money really cannot buy happiness. The ability to buy more “things” won’t replace being happy with who you are and what you can give to others. First of all, thank you for your kind words. People in Western Societies, especially put far too much emphasis on things and not enough on experiences and the people we share them with. Thank you, Deena for having me here today. Deena and I connected on FB when we realized we went to the same college. Her cover distracts me every time it appears in my time line. I can’t wait to read her books! In my opinion, money basically cannot buy anything of true value, such as true love, happiness, hope, faith, kindness, compassion, and just about anything we value finding in other people or that other people would be surprised to find within us. Money may buy material things that instill happiness in ourselves or others such as when we use that money to buy a favorite book or a dress that we or they have been eying for months. But does the purchase of those items really inspire true happiness or soul-deep beautifying qualities? In my opinion, the answer is no. Money cannot buy anything to bring true happiness. True happiness? No, but money provides the means to fulfill your dreams, live independently, and achieve the things that make you happy. At least to an extent. But the people in your life, family and friends? They top everything. Thanks for reading! I would have to say that money can’t buy love or friendship. would love to win these books. have not read anything by this author yet and would love to try her out. thanks for the giveaway and the chance to win. Hi Chris! Thank you for your interest! I agree with you on all points. I’d love for you to be in the running. What’s your email address? The books sound great! I loved the blurbs and the excerpt!